Charles Linn Burt, 91, of Bellevue, died peacefully on Tuesday, May 15, 2018, surrounded by family at home. 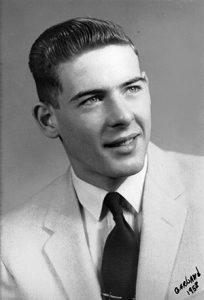 He was born May 23, 1926 in Lansing to Lloyd and Margaret (Parish) Burt. He proudly served during World War II, and when he returned he married his sweetheart, Leone Stetler. His family fondly remembers him as a wonderful husband, an awesome father, and a terrific provider. Charles loved going for car rides, garage sales, and he loved to gamble. He enjoyed family camping trips around the state, being in the yard and watching birds, and he was a Detroit Tigers and NASCAR fan. Charles worked at the AE Hoover Factory, retiring in 1988. He was always smiling, and full of life, and was a helping hand to many. Charles is survived by his children, Randy (Valerie) Burt, Sheila (Charles) Youngs, Marsha Hayes, and Jeff (Linda) Burt; 10 grandchildren; 18 great-grandchildren; three great great-grandchildren; and sister-in-law, Jeane Burt. He was predeceased by his wife, Leone; son, Dale Burt; grandson, Adam Burt; and brothers, Glen and Leo Burt. Friends are encouraged to support Charles’ family at visitation and funeral services. Funeral services are Monday, May 21, 2018, at 11 a.m. at Pray Funeral Home in Charlotte, with Pastor Don Francis officiating. Visitation is Sunday, May 20, from 2 to 4 p.m. at the funeral home. If desired, the family suggests memorial contributions to the VA Hospital. Friends and family are encouraged to share memories of Charles on his tribute page at PrayFuneral.com. Beverly Ann Bogner, a welcoming lady who became “everybody’s mother,” of Charlotte died May 14, 2018 at the age of 94. She was born August 2, 1923 in Hastings to high school chemistry teacher Frederick Jones and his wife, Gertrude (Waters) Jones, who was a teacher at the Dowd School. Bev served during World War II in the Navy Waves as a storekeeper, and after her return, she married John R. Bogner on August 31, 1947. 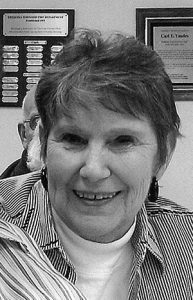 Bev was a supporter of local teachers, active member of the Lawrence Avenue United Methodist Church, and she was also a member of the League of Women Voters, and the Camp Fire Board for many years. She was an award winning EATRAN bus driver, retiring in 1988. As a young girl, Bev helped build the family home by “driving in every second nail,” and helping her father construct a stone fireplace. Family was everything to Bev, she lived vicariously through her daughters and their accomplishments. She loved camping, canoeing, swimming, boating, and life on the lake being in the family cottage. Bev loved traveling as well, including a special trip to England to trace family history. Her family will always remember her laugh, known as the “Jones Girls Laugh,” that she and her sisters all shared and sounded the same. Beverly is survived by her loving daughters, Ann Waters, Catherine Bogner, Sara LaForge, and Jane Bogner Ventsias; granddaughters, Laurel, Heather, and Alexandra; grandson, Nick; and 2 great-grandchildren. Beverly was preceded in death by her husband, John in 1994; and sisters, Irene (Francis) Hamilton and Willo (Joseph) Cooper. Friends are encouraged to support Beverly’s family at memorial services at Lawrence Avenue United Methodist Church in Charlotte on Friday, May 18, 11 a.m., with Rev. Gary Wales officiating. If desired, the family suggests memorial contributions to Camp Frances Educational and Recreational Center. Friends and family are encouraged to share memories of Beverly on her Tribute Page at PrayFuneral.com. 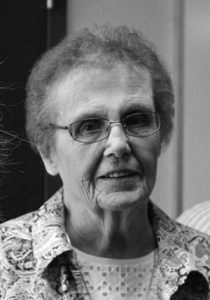 Catherine B. Carroll, 74, of Vermontville, passed away Friday, May 11, 2018, at Sparrow Hospital in Lansing, surrounded by her family. She was born February 6, 1944, in Sheridan, Mich., the daughter of Donald and Aletha Husted. On June 26, 1961, she married JW Carroll in Belding at the family home. Cathy loved people. If you ever visited her home you may have come as a friend but you always left as family. Cathy loved to work outdoors and could often be found planting or weeding flowers beds. Cathy was an amazing cook and baker. Everyone always looked forward to sitting down at her table for a wonderful home-cooked meal. Cathy loved her job as a bus driver for Charlotte transportation. She made many lifelong friendships throughout her 24 years of dedicated service. Cathy is survived by her loving husband of 56 years, JW; children, Annette (Terry) Frith, Jeremy (Erin) Carroll, Josh Carroll, Becky (Ed) Bruce; 10 grandchildren; six great-grandchildren; brother, Donald (Faith) Husted; and sister, Ruth Ann. She was preceded in death by her parents; son, Jim Carroll; daughter, Diane Sue Carroll; and grandson, Jacob Carroll. A memorial service was held on Tuesday, May 15, 2018, at Burkhead-Green-Kilgo Funeral Home, with Pastor Shane Bryant officiating. Burial will take place at Evergreen Township Cemetery in Sheridan at a later date. Those desiring may make contributions in Cathy’s memory to Charlotte Assembly of God or the charity of their choice. 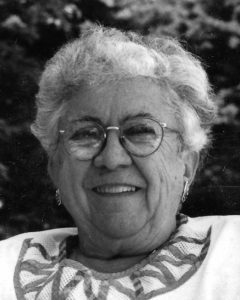 To view Catherine’s obituary online or to leave a condolence for the family, please visit burkhead-greenfuneralhome.com. 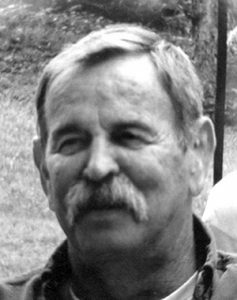 Wilson “Spark” Ashley, 68, of Nashville passed away Saturday, January 6, 2018 while wintering in Florida. A memorial service will he held at The Daniels Funeral Home in Nashville at 2 p.m. on Sunday, May 20, with Shirley Zobian officiating. The family will receive visitors one hour prior to the memorial service, beginning at 1 p.m. There will be a time of luncheon and fellowship immediately following the memorial service at the Nashville VFW Post #8260. Funeral arrangements have been entrusted to the Daniels Funeral Home in Nashville. For further details please visit danielsfuneralhome.net. Sylvia Williams, 86, of Vermontville, passed away peacefully Wednesday, May 2, 2018 at her home with her family at her side. Sylvia was born in Lake Odessa on September 22, 1931, the daughter of the late Howard D. and Mable (Armour) Poff. She was raised in the Lake Odessa area and attended local schools graduating from Lake Odessa High School in 1949. She continued her education at Western Michigan University where she received her Bachelors Degree in Education. In 1953, she was married to Mr. Lafayette Williams in Lake Odessa. 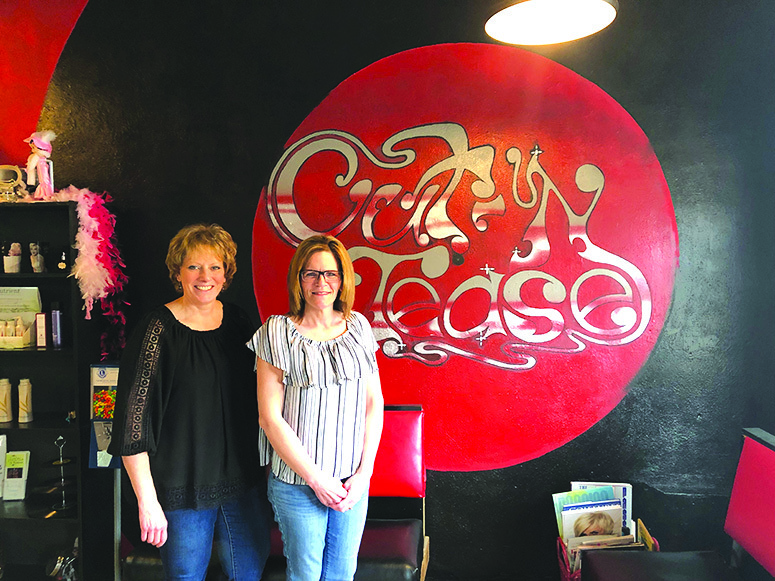 They began their lives together in the Hudsonville area for a short time, before moving to the Vermontville area where they raised their family together. Lafayette and Sylvia enjoyed traveling to Northern Michigan as well as other parts of the United States in their motor home. Slyvia began her teaching career in the Hudsonville school systems where she taught Home Economics. During the mid 1960s the family moved to Vermontville where she taught at Fuller Street School until 1985 when she retired from teaching. After leaving education, Slyvia began working as the Register of Deeds for Eaton County, which she continued until her retirement in 1995. She loved her home, and enjoyed sewing, cooking, working in her gardens and doing crossword puzzles. She especially enjoyed spending time with her friends; twice per week Sylvia and her group of friends would exercise and swim at the Charlotte High School swimming pool. Though the years, she has remained an active member of the Greater Federation of Women’s Club in Vermontville. She always looked forward to the many adventures the group would take during the year. Sylvia is survived by her two daughters, Betsy Parish, and Jane Owen; a son, Paul (Debbie) Williams; two sisters, Mary Firth, Margaret (Pat) Maurer; and six grandchildren. 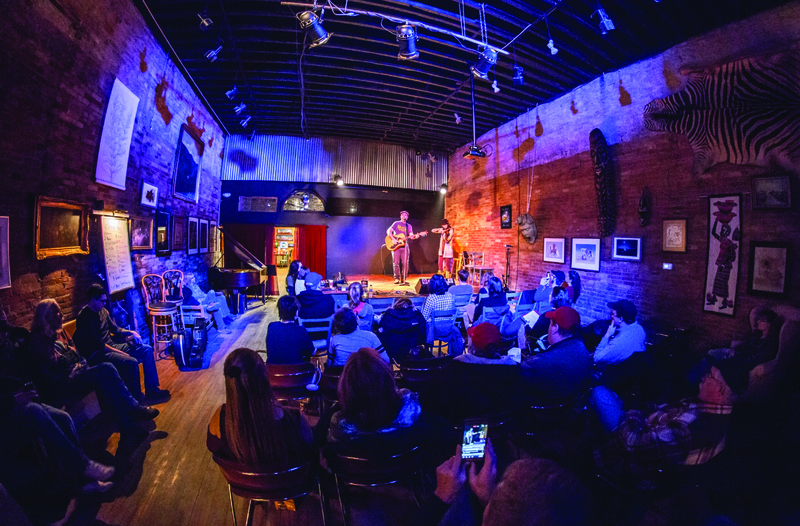 Memorial contributions can be made to the Maple Valley Scholarship Fund or the Lake Odessa Historical Society. Karen S. Sullivan, 76, of Gaylord, formerly of Lansing, passed away Friday, May 4, 2018, at Munson Hospice House in Traverse City. She was born February 23, 1942, in Charlotte, the daughter of Harold and Esther (Zanger) Sloan. She graduated from Charlotte High School with the class of 1960. Karen was a devoted mother and grandmother. She always looked forward to Sunday family dinners. Karen enjoyed spending time outdoors. She loved wildlife and could often be found enjoying the seasons with family, along with camping, fishing and hunting. Karen enjoyed all things Northern Michigan. Whether it was just taking a drive down country roads or sitting beside one of its many lakes or streams, she loved it all. Karen is survived by her two sons: Brian (Lori) Sullivan of Olivet, Steve (Winde) Sullivan of Gaylord; seven grandchildren; eight great-grandchildren; brother, Mark Sloan of Wisconsin; sister-in-law, Sharon Sloan of Olivet. She was preceded in death by her parents and brother, David Sloan. Funeral services were held on Thursday, May 10, 2018, at Burkhead-Green-Kilgo Funeral Home in Charlotte. Interment took place at Lee Center Cemetery in Olivet. Those desiring may make contributions in Karen’s honor to Steve Sullivan to be used to purchase wildlife feed for Munson Hospice House. Steve will personally deliver feed. To view Karen’s obituary online or to leave a condolence for the family, please visit burkhead-greenfuneralhome.com. 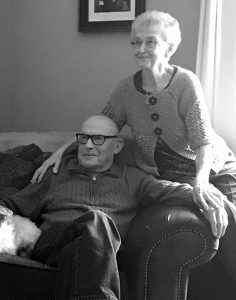 Garland Glen Root, 78, of Charlotte, passed away Friday, May 4, 2018, at home with his wife by his side. He was born May 15, 1939, in Charlotte to Glen H. and Virginia M. (Eldred) Root. Garland graduated from Charlotte High School with the class of 1958. 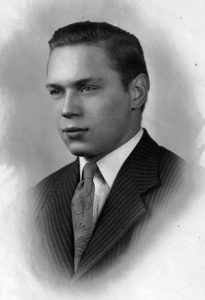 He went on to serve his country in the US Army, where he was stationed in Germany. On April 28, 1962, Garland married the love of his life, Tommie Ann Carter at First Lutheran Church in Charlotte. Once returning from the service Garland found employment at Oldsmobile in Lansing, where he worked in skilled trades as a journeyman millwright. He was a devoted lifelong member of First Lutheran Church in Charlotte, where he served as an elder for many years. Garland enjoyed golfing, bowling, and playing Euchre. He was the best husband, father, and grandfather one could ever ask for. He saw to it that his family always came first. Garland also loved helping others. He was always willing step up and volunteer to assist anyone in need. Garland is survived by his loving wife of 56 years, Tommie Ann; daughters, Tammy Ann Mullins of Eaton Rapids, Tanya Annette Cook of Potterville; four grandchildren, Rose Cook, Robert Cook, Garland Cook, Dacey Cook; great-grandson, Elias Cook; and sister, Connie (Stan) Guzy of Bellevue. He was preceded in death by his parents; and brother, Gerald Root. Funeral services were held on Tuesday, May 8, 2018, at Burkhead-Green-Kilgo Funeral Home in Charlotte, with Pastor Tim Olson officiating. Interment followed at Maple Hill Cemetery in Charlotte. Those desiring may make contributions in Garland’s memory to the First Lutheran Church, 550 E. Shepherd St., Charlotte, MI 48813. To view Garland’s obituary online or to leave a condolence for the family please visit burkhead-greenfuneralhome.com. Leonard “Len” E. Johnson, of Charlotte, a man of freedom and respect for both his fellow humans and the great green Earth passed away. Leonard was born on the family farm on June 4, 1928. At the age of 89 Len died Saturday, May 5, 2018. This is who our husband, father and grandfather was. He understood the beauty and passion of those he loved. He was intelligent, charming, funny, kind and handsome, but most of all he conducted himself with a quiet grace. He had piercing blue eyes and with his smile you felt blessed all the way through. Our parents shared a deep love, the kind of love where you are lovers and friends. They so loved to dance together. They were two halves that make a whole and they understood how rare and lovely that is. The saying, “still waters run deep” comes to mind. Yet he never missed a trick and should you need a talking to he would deliver it without you ever doubting he had your back. He will be missed. Len is survived by his wife of 67 plus years, Donna Mae; children, Cathy (John) Roberts, Dan (Katherine) Johnson, Linda (David) Prevo and Tom Johnson; nine grandchildren, Lisa, Adam, Keith, Kara, Amelia, Caelen, Alex, Jackson and Cydne; five great-grandchildren, Samantha Donna, Caroline Grace, Lyla Mae, Henry Leonard, and Beckett Francis; siblings, Pat Langmaack, Richard Johnson; plus so many dear friends and extended family members. Leonard is predeceased by his parents, Leonard Johnson Sr. and Isabel Johnson; sister, Peggy Moon; and brother, Casey Johnson. Friends are encouraged to support Leonard’s family at visitation and memorial services. Memorial services were Thursday, May 10, 2018 at The First Congregational Church in Charlotte, with Pastor Phil Hobson officiating. If desired, the family suggests memorial contributions to First Congregational Church. Friends and family are encouraged to share memories of Len on his tribute page at PrayFuneral.com. 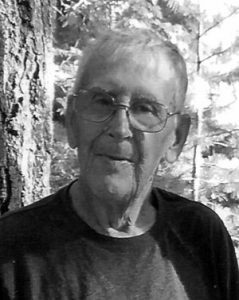 Richard Eugene Van Fossen Sr., 91, of Potterville, passed away Monday, May 7, 2018 at Sparrow Hospital in Lansing. He was born March 12, 1927, in Flint, the son of Donald and Verl Van Fossen. As a boy Richard attended Flushing Schools. He then went on to honorably serve his country in the US Navy in World War II in the Pacific Theater. Upon his return from the war he married the love of his life, Jennie E. Petherbridge on November 25, 1944. Richard was a pillar in the Potterville community. He served as the town constable in the 1950s. Richard was also the Mayor of Potterville, longtime member and president of the Potterville School Board, and City Council. He was an honorary Kentucky Colonel. Richard was a licensed commercial pilot, who loved to fly every opportunity he had. He owned many planes throughout the years and even built one himself. Richard was a proud member of the Operating Engineers Union for over 50 years. In his early years Richard enjoyed racing stock cars and riding motorcycles. He owned and operated Van Fossen Excavating and Van Fossen Trucking for many years. He loved to read and was an ardent supporter of the Benton Township Library. Richard was a proud Shriner. He saw to it that every child that needed medical care had a ride to their appointments. Richard is survived by his sons, Richard (Theresa) Van Fossen II, Michael Van Fossen; seven grandchildren; 10 great-grandchildren; numerous nieces, nephews, and friends. 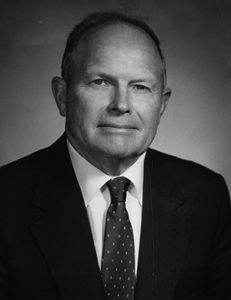 He was preceded in death by his wife, Evelyn in 2014; daughter, Diane Jean in 1989; and granddaughter, Kelly Jean Van Fossen. Funeral services were held on Friday, May 11, 2018, at 10 a.m. at Burkhead-Green-Kilgo Funeral Home in Charlotte. Interment took place at the Benton Township Cemetery. Those desiring may make contributions in Richard’s memory to the Shriners Hospitals for Children 2900 N. Rocky Point Drive, Tampa, FL 33607. To view Richard’s obituary online or to leave a condolence for the family, please visit burkhead-greenfuneralhome.com. Janice V. (Nelson) Bumgardner, 83, a loving wife, mother, grandmother and great-grandmother, of Vermontville, went to be with her Lord and Savior on May 3, 2018 surround by her loving family. Janice was born May 31, 1934 in Sullivan County, Tenn. Her southern roots would forever stay with her, through her cooking, hospitality and love. She and Charles met while walking to church. The couple quickly fell in love and would later marry and spend the next 68 years truly devoted to one another. Her marriage to Charles was the joy of her life along with her children. Their humble beginnings started in 1953, when Charles came to Michigan to find a place to bring his family to. He found that in a small home that was owned by the late Harold and Edith Benedict. Janice also enjoyed creating beautiful quilts, made most the time from material originating from early feed mill fabric. Janice worked very hard all of her life. She was a butcher at Hanna’s Meat Locker in Sunfield for eight years, and later worked as a manager at the Lansing Butcher Shop for 28 years. Janice was a beautiful backup harmony singer for her daughter’s band called “Cathy Ann and the Sounds of the South.” She then went on to help Cathy Ann with her ministry of Christian Counseling. Above all, Janice was one of the most caring and loving women you could meet. She is survived by her loving husband, Charles Bumgardner; children, Bob (Kathy) Bumgardner, Nancy (Larry) Trask and Ginny (David) Chase; grandchildren, Cheryl (Tim) Versalle, Denise (Ted) Kurdziel, Marc Trask, and Anne (Chad) Archer; great-grandchildren, Christopher Knoll, Cameron Trask, and Nate Lovaas(Chosen in love to be a part of the family); brothers, Floyd (Carolyn) Nelson, David Nelson, and Clay( Shirley) Nelson; and god son, Mark Truman Woodman III. She was preceded in death by her beloved daughter Cathy Ann; four sisters and two brothers; and her parents. Funeral services were held Wednesday, May 9, 2018 at Sunfield United Brethren Church, with Pastor Joe Benedict of Vermontville Bible Church officiating. In lieu of flowers, Janice had a passion for children to come to know the Lord, and her family asks that memorial contributions be made to either Camp Living Water: or Vermontville Bible Church directed to Youth Mission Camp. Please visit a special webpage at RosierFuneralHome.com made especially for Janice to light a candle in her memory or leave a condolence for the family.